Dr. Ghafur is the lead for digital health policy at the Institute of Global Health Innovation, Imperial College. She also practices as an honorary consultant in Respiratory Medicine at St Mary’s Hospital. 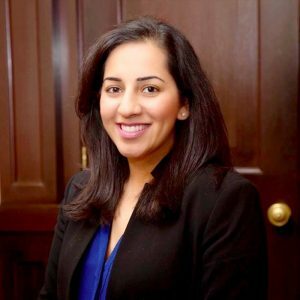 During her Harkness fellowship, Saira was based at the Commonwealth Fund and where she worked with Eric Schneider and David Blumenthal. Her research focused on patient facing technologies and learning from non-healthcare industries to improve engagement and adoption. Previously, Saira served as a Clinical Fellow to the National Medical Director at NHS England, Professor Sir Bruce Keogh. This fellowship allowed her to work closely with the primary care and innovation teams on the development of strategies to engage clinicians and the wider healthcare industry. Saira was subsequently the workforce lead for the New Care Models program, and helped drive a strategic approach to the workforce changes required in an integrated health economy. Saira has completed a M.Sc. in Health Policy from Imperial College, London. She has previously completed a fellowship in quality improvement at Sheffield Teaching Hospitals where she was trained by the Dartmouth Institute as an improvement coach. Saira received her medical degree from University of Dundee Medical School.